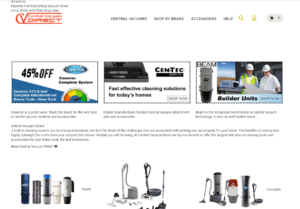 CentralVacuumDirect.com is running on the Volusion e-commerce system. For this project, we needed to bury ourselves in the weeds and dig our way out. Everything needed to be re-worked and re-assessed after being neglected for so long: inventory control, product/catalog management, pricing. 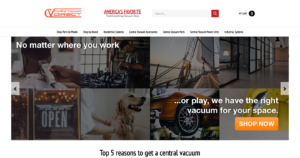 Thousands of spreadsheet hours later: we arrived at a source of truth for their massive product catalog that we could use to populate and refresh their online storefront.